The Manitowoc IDT-0420A-161/D-420 ice maker with bin can produce 375 to 470 pounds of ice every 24 hours. 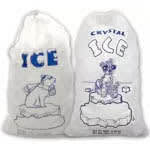 The bin can hold a maximum of 383 pounds of ice, and ice production can be adjusted by time or volume. 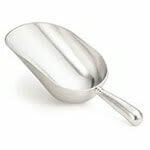 The exterior’s DuraTech™ coating over durable stainless steel resists corrosion. 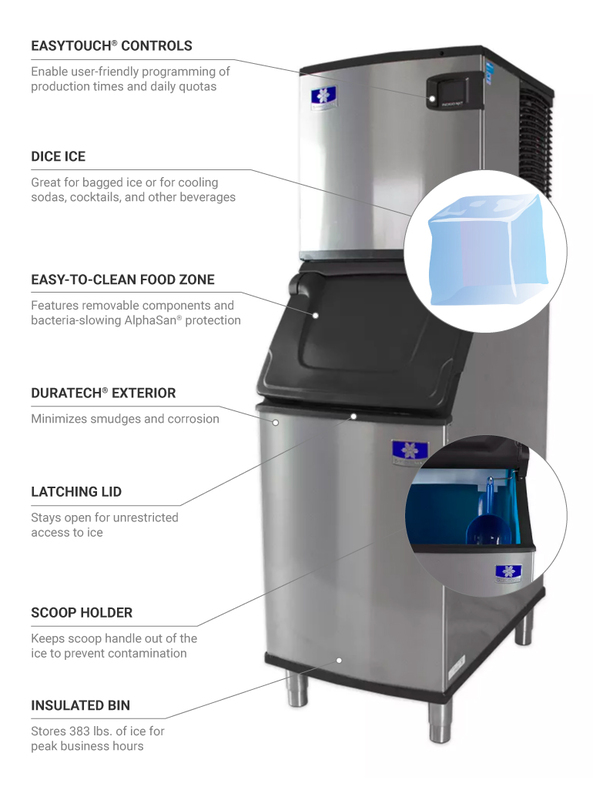 To prevent ice from melting quickly, the bin door is insulated, and the head’s foodzone has a built-in antimicrobial agent that slows bacteria growth between cleanings. 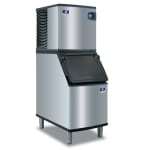 The Manitowoc IDT-0420A-161/D-420 ice maker with bin has a straightforward, icon-based display. Ice cube dimensions: 0.875 in. x 0.875 in. x 0.875 in. 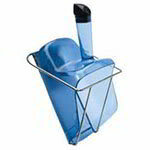 Get more information on ice machines and bins from our ice machine buyers' guide.